The couple drove me from Palmira to the bus terminal in Cali. Not only did they refuse to accept any money to cover petrol or the toll on the road, but they also gave me a little packed lunch for my journey. Now, Colombian bus terminals can be fairly confusing. Each company, and there are many of them, has a different, often overlapping range of journeys on offer. There were plenty of companies going to Popayan but I shopped around a bit to get a “Coche Bola”. These are the 50-odd seater coaches as opposed to the many minibuses that are also available. Although they take longer they are also slower and are more comfortable. I arrived in Popayan by mid-afternoon and got a taxi to my hotel, The Hotel Popayan Inn. This was nice and cheap and also close to the historic centre of town. On most days this would be ideal. On Sunday it meant that it was pretty much deserted and I had to traipse out of town to find any open restaurants. I made an early start to catch the 8.30 bus, only to discover that it had mysteriously turned into the 9.30 bus overnight. Oh well, as Alvaro often said, “This is Colombia Simon, tranquillo”. The journey to Pasto took me through some beautiful countryside. The altitude increases from 1500 metres to about 2500 metres and the city of Pasto itself is circled by mountains. I had dinner in a shopping mall that had big picture windows so that you could look at across at the mountains. 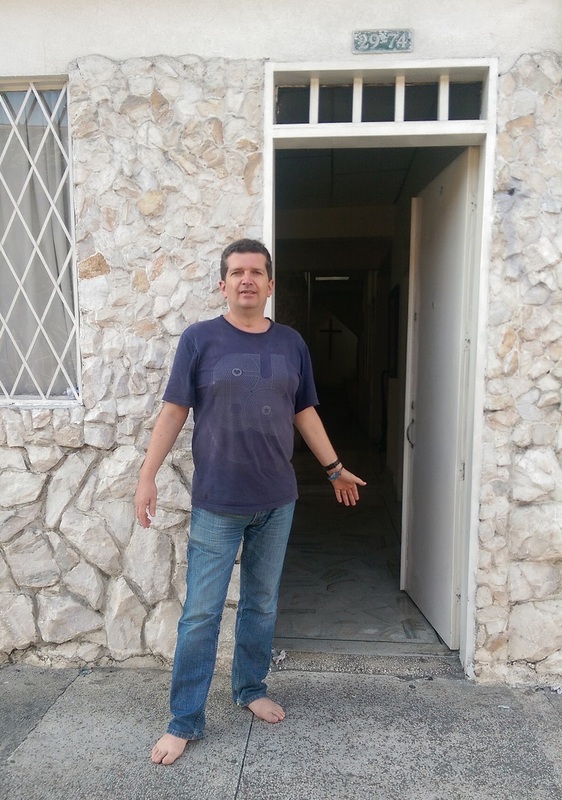 It is incredible, coming from the UK, just how much difference there is in the places that people live in Colombia. From coastal towns to Caribbean islands to Amazonian rainforest and up to mountainside cities like Pasto, the variety is breathtaking at times. The theme for today involved much faff and waiting at borders and was pretty much punctuated throughout by me muttering “Brexit voters, is this what you want?” under my breath. 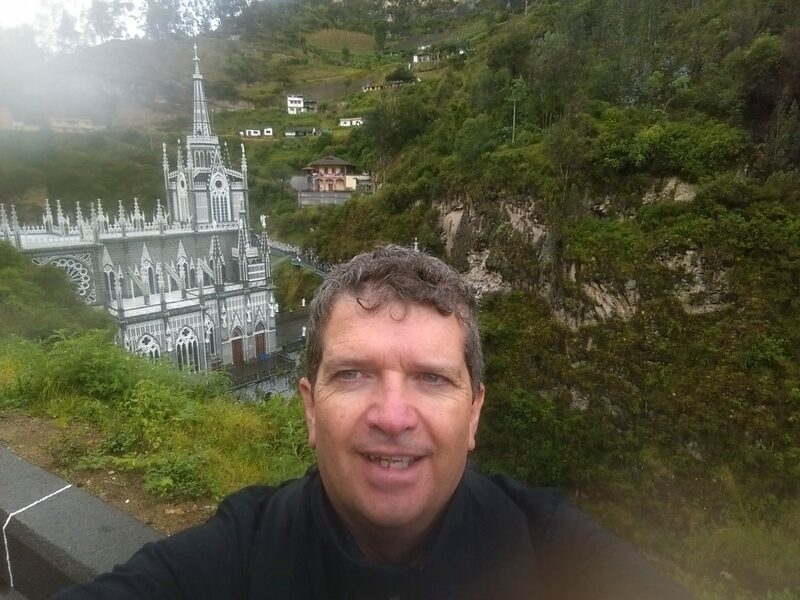 But first, I took the bus from Pasto to the close-to-the-border town of Ipiales, which is famous for its sanctuary built down in a gulch. My friend Andy Mabbett had posted a picture of it soon after I arrived in Colombia and so it was satisfying to post a picture back with the message that I had finally made it. The border crossing took three hours due to the queueing for Migracion at either side. Finally, I arrived in Ibarra and checked in to my hotel for the night. This wasn’t really a travelling day. I got up late and had a bit of a wander around town, picking up some basic food items while I did. Ibarra doesn’t have a lot of vegetarian restaurants, but there was the one “Almuerzo” on the same block as my hotel. It cost me a bargainous $2.50 for a three course meal from a grim looking Chinese woman. 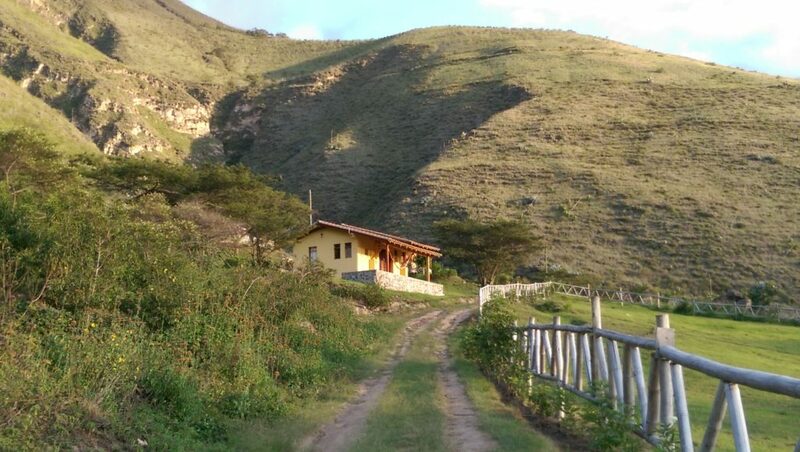 After lunch I dragged all of my possessions into a taxi and took a drive out to Lake Yahuarcocha and my home for the week, a cabin on Finca Sommerwind. Glad you got to see the place for yourself.